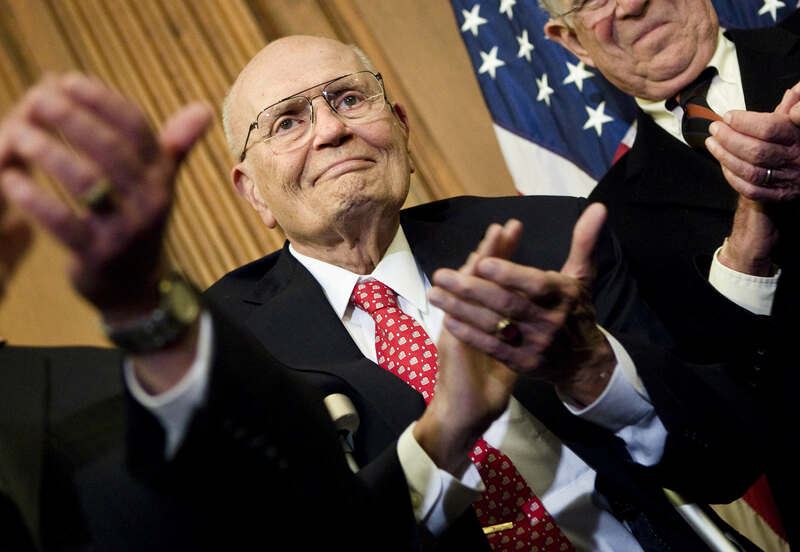 Rep. John Dingell, D-Mich., the longest-serving member of Congress, plans to officially announce his retirement on Monday, after representing Michigan's 12th district in the House for 58 years. "My standards are high for this job," Dingell said in his prepared remarks for his annual “State of the District” speech to the Southern Wayne County Regional Chamber of Commerce. "I put myself to the test and have always known that when the time came that I felt I could not live up to my own personal standard for a Member of Congress, it would be time to step aside for someone else to represent this district." The 87-year-old Democrat told the Detroit News that he’s become disillusioned with Congress. Dingell was elected in 1955 to the House seat formerly held by his father, John Dingell, Sr. While just 29 years old, he already had experience on the House floor, where as a teenager he served as a congressional page. He became Congress’ longest-serving member last June, eclipsing the record set by the late Sen. Robert Byrd, D-W.V. On CBSNews.com's "Face to Face," Dingell recalled serving in Congress when "the institution worked." He told CBS News' Bob Schieffer that when a congressional committee took up an issue, its members would "roll up our sleeves and just fight like hell. When we were done, we had a hard agreement" to take to the House floor. Now, he said, all agreements are made in congressional leaders' offices.The longtime congressman helped steward through Congress several historic pieces of legislation. Last December on CBS This Morning, Dingell read a letter to his younger self, in which he recalled presiding over the passage of Medicare and helping to pass the Affordable Care Act. Michigan’s 12th district is a relatively safe seat for Democrats. Dingell’s wife Debbie Dingell, 60 years old, is expected to run for the seat now that her husband is retiring, the Detroit News reports. Debbie Dingell is the chairwoman of the Wayne State University Board of Governors and a longtime Democratic National Committee member.